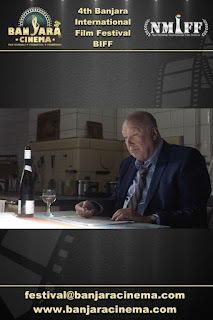 Banjara Cinema: 4th Banjara International Film Festival welcomes the submission of Professional Short "Veras Tounge In My Mouth Full of Chocolate" from Germany, directed by Hellmut Mario Fulss. 4th Banjara International Film Festival welcomes the submission of Professional Short "Veras Tounge In My Mouth Full of Chocolate" from Germany, directed by Hellmut Mario Fulss. Synopsis:The embittered socialist Robert Lekroucha lives with his son Wladimir in the East German province. After an unexpected inheritance, he responds to a job announcement from a young woman and offers her work as a maid in his home. But things aren’t the way they should be. French food and religious nature of maid started to get on Robert’s & his son's nerves. REGULAR Submissions are NOW OPEN.